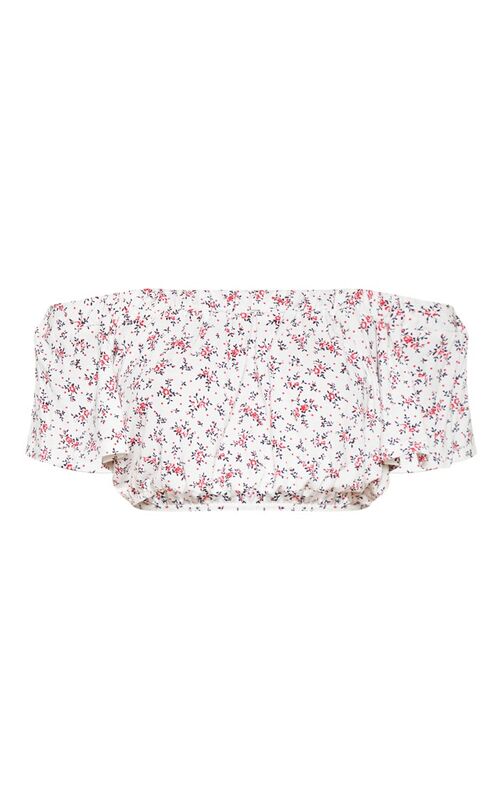 Get maxing out your wardrobe with florals for the new season with this crop top. 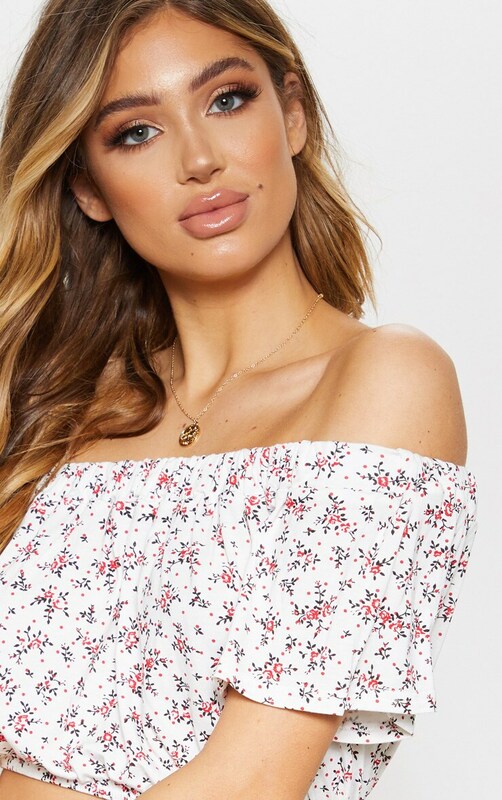 Featuring a white material with a ditsy floral print, a bardot neckline and short sleeves. 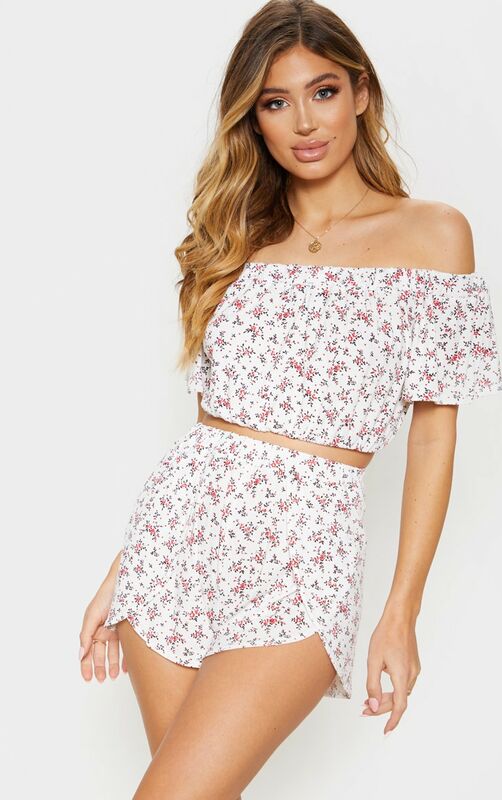 Team this with the matching bottoms and flatform sandals for a look we are loving.